I did it: THE best pumpkin pie (with streusel) I’ve ever had. I’d like to thank my local pumpkin farmer who gave me a wonderful sugar pumpkin, Martha Stewart (and her people) for letting me know how to cook that pumpkin into a lovely puree and for the leaf template, Real Simple’s pie crust instructions, eatthishouse blogger for the adapted Bon Appetit pumpkin pie with streusel recipe and last but not least, me for actually pulling it off. I will look no further for a pumpkin pie recipe. Let’s get right down to it-this will be a long post. I think it’s justified because I have come across the ultimate pumpkin pie. It’s classic, simple, rich…amazing. This coming from someone who used to buy pumpkin pie from the freezer section at the grocery store which I still don’t see a problem with but it’s odd to be a food enthusiast and not make your own or at least part of your own pie. I guess I stepped up a little last year when I bought one from a local orchard that someone else had made from scratch. The last time I made my own pie was when my mom and I labored over an apple pie. When my mom took it out of the oven, she accidentally dropped it upside down on the kitchen floor. I remember both of us standing their in dismay for a few moments. Do you remember that mom? It’s funny now, I think it was funny then…after a day because we both have the same kind of luck and it pretty much sealed that I am your daughter. I made the pie crust and pumpkin puree a week before, froze them and then took them both out a day before making the pie. You can buy these or make one homemade/one store-bought but I think it’s really much easier than you’d believe to make both and it really does taste much much better. 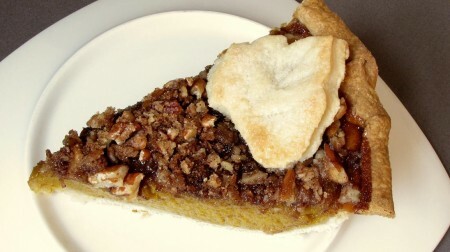 I adapted the filling and streusel ingredients from a 12-inch pie to my 9-inch pie that serves 8. Day of: Place the dough on a floured piece of parchment or wax paper. Using your knuckles, make indentations around the dough (this will help prevent cracking when you roll the dough out). With a floured rolling pin, roll the dough into an 11- inch circle (work from the center outward, and use the parchment to rotate the dough). Flour the rolling pin, parchment, and dough as necessary to prevent sticking. Loosen the dough from the parchment and carefully transfer to a 9-inch pie plate (I had enough for a 12-inch pie plate). Fit the dough into the plate. Trim the dough to a 1-inch over-hang and tuck it under itself to create a thick rim, if you’d like. I like a rustic crust edge so I didn’t follow the remaining instructions. There are several websites out there with instructions for beautiful edges and the one coming up is a nice, simple edge. Day of: Take a fork and puncture the bottom of the crust. Pre-bake crust for 20-25 minutes at 350 and then allow to cool. * Use leftover crust for cut-outs if you’d like. I used a leaf template found on Martha Stewart’s site. Just print and cut-out, place on dough and run a knife around it. Place on top of the filling, when you add the streusel (after the filling has cooked until almost set). Preheat or keep oven at 350 (after pre-baking the crust). In a bowl, whisk together brown sugar, eggs, salt, cinnamon, ginger, allspice and nutmeg. 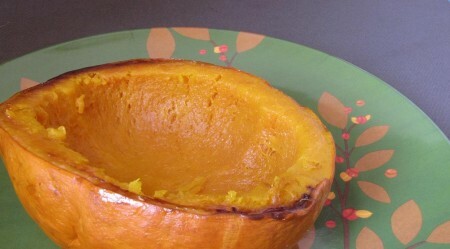 Then, whisk in pumpkin and cream until the ingredients are smooth. Pour into (cooled) pie crust. Bake until filling is firm, but not fully set, approximately 30-45 minutes. If the crust is golden brown and no longer needs to be baked, place aluminum foil over the edge to prevent burning. Prepare the streusel by combining the pecans, brown sugar, cinnamon and salt in a small bowl. After filling has firmed, pull pie out of oven and reduce temperature to 325. 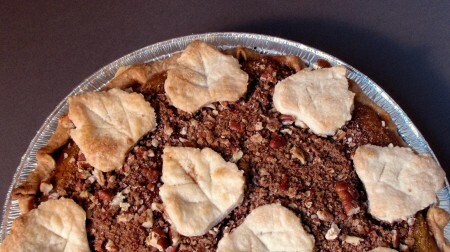 Sprinkle the streusel over the top (add cut-outs if you’ve made them) and return to the oven and bake until filling is set and pie has puffed up, about 15 minutes. Transfer the pie to a cooling rack and cool completely. Top with homemade whipped cream or ice cream (or not) and maybe a sprinkle of cinnamon on top of that.